The MacArthur landing in Lingayen Gulf in Pagasinan (Photo credit: Travel Outcrop). MacArthur's forces unexpectedly landed at Lingayen Gulf which took the enemy by surprise, which the Japanese could not offer stiff resistance, particularly because the number of their airplanes had dwindled. The Japanese, in desperation, retreated to the mountains, while those in Manila prepared for a last-ditch battle. 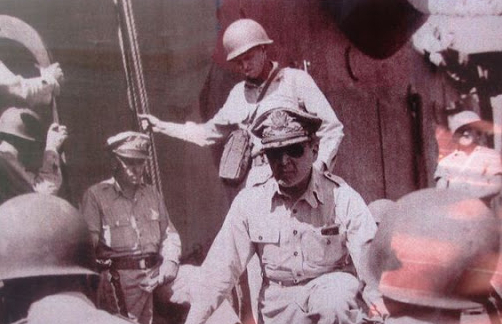 On July 4, 1945, MacArthur succesfully proclaimed the liberation of the country from Japanese forces.